Apple shipped 4.9 million laptops and desktops in the July-to-September period, according to preliminary figures from market-research firm Gartner. That’s an 8.5 percent decline from the same quarter of last year. The company is behind Lenovo, HP, and Dell, and has 7.3 percent of the global PC market. It had 8 percent of the market in Q3 2017. The United States is a huge market for Mac. Last quarter, Apple shipped 2.0 million PCs in this country, or about 40 percent of its global total. Shipments were down 7.6 percent year-over-year. Apple had 13.7 percent of the U.S. market last quarter, down from 14.8 percent in the same period of 2017. 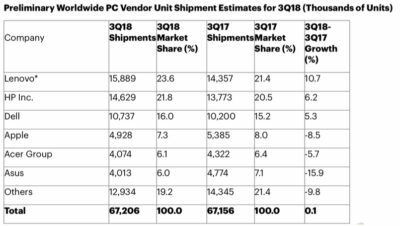 Apple remained the fourth-largest PC maker, but it’s worth noting that Microsoft became the fifth largest entirely on the strength of its Surface line of 2-in-1s. The company sold just 602,000 units, however. 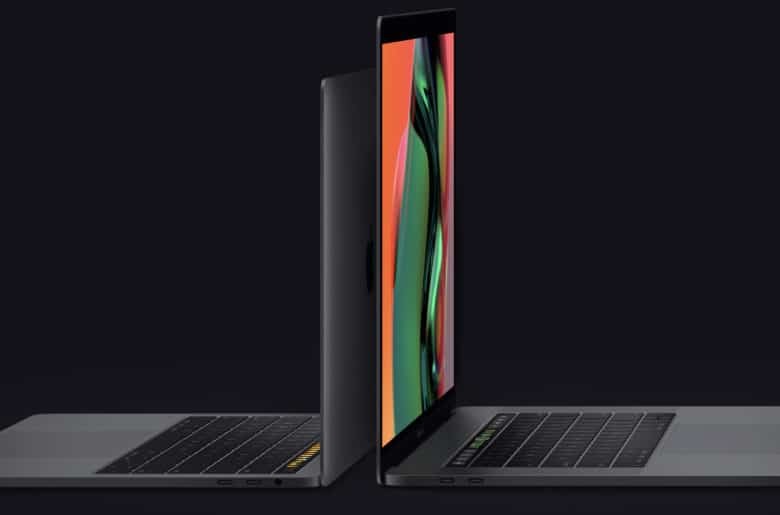 This global sales decline happened despite the release of the 2018 MacBook Pro models near the beginning of July-to-September period. Still, Apple also brought out new MacBook Pros in Q3 2017, plus it tweaked the MacBook Air, something that it didn’t do this year. Perhaps that cut into shipments. Apple held onto fourth place in the world PC market. Q3 is supposed to bring fairly strong sales, as it includes the back-to-school shopping season. Not so much this year. At least not for Apple. Its three biggest rivals all saw increases in laptop/desktop shipments. All that said, 2018 isn’t over. Some people are still waiting for a redesigned MacBook Air. And there are also unconfirmed reports of a refreshed and more powerful Mac mini. Both of these could be announced at a much-anticipated October press event. Mac is Apple’s second-biggest product in terms of revenue, behind iPhone of course. It is third biggest in units sold, behind iPad.